Manchester is known for a lot of things: its two world-class football teams, its leading universities, its iconic musical heritage, vibrant art and cultural scene and so much more besides. Perhaps most defining of all though is Manchester’s historical significance as the birthplace of the industrial revolution, that ushered in the modern technological era. One of the big industries the city during this period was the textile industry, with fabrics and clothing made in Manchester being exported all around the world. Nowadays, entrepreneurs and artists are attracted to Manchester for its position as a digital and creative hub, but the city is seeing somewhat of a resurgence as a fashion industry capital. Manchester blooming into a fashion mecca is a continuation of its past as the international centre of textile trade back in the 19th century. In 1781, the world’s first steam-driven textile mill was created in Manchester, with the city going on to put up large-scale factories and warehouses. Soon dubbed as “Cottonopolis,” Manchester became a prolific cotton spinner, producing over 80% of the world’s imported cloth. Manchester’s textile industry took a hit during the First World War. Supplies dwindled, workers looked for other jobs, and mills closed down as cheaper alternatives to British cotton emerged. The last cotton mills shut down completely in the 1980s, although there was a revival afterwards as up-and-coming entrepreneurs like Gio Gio and Stolen from Ivor put up their own fashion lines. Top-notch designers from Manchester like Henry Holland, Nabil El-Nayal, and Matthew Williamson also came to the global stage. Many of the warehouses still remain, now refurbished into flats and offices. Fast forward to the 21st century, and Manchester is poised to become a modern Cottonopolis yet again. Surprisingly, a major reason for this is digital technology. 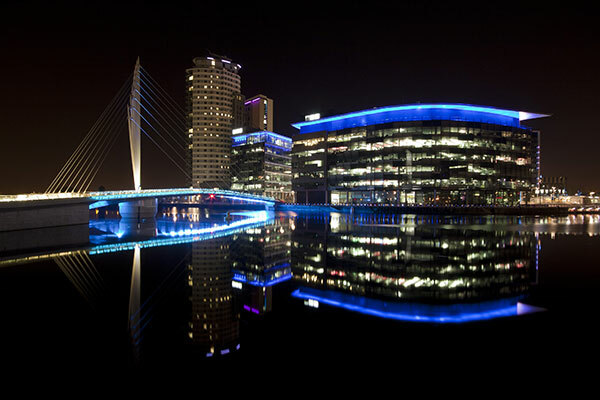 The city is about to become the UK’s largest technology hub outside of London and it’s business ecosystem is thriving, leading to a huge boost in job creation. In particular, it’s at the forefront of e-commerce, with Greater Manchester having the greatest number of small online businesses out of all the other areas in the country. This paves the way for startups to focus on fashion, which has always been a strong sector in the UK and has gone hand in designer glove with the rise of e-commerce and the decline of bricks and mortar department stores. As an important player in the global fashion scene, Manchester’s streets are lined with high-end couture and designer shops, and it’s also home to both edgy, independent brands and multimillion-pound online stores. Impressively, many of Manchester’s e-commerce stores have reached millionaire status within only a few months of launching. Boohoo is an outstanding example of a Manchester-grown brand. Founded only in 2006, its affordable fast fashion caters to the younger crowd, and it already has nearly 6 million Instagram followers from all over the world, with revenue of £508M in 2018. It further acquired PrettyLittleThing, another wildly successful online store from Manchester that has 10.5 million Instagram followers. Other global e-commerce hits include Lavish Alice and Missguided. 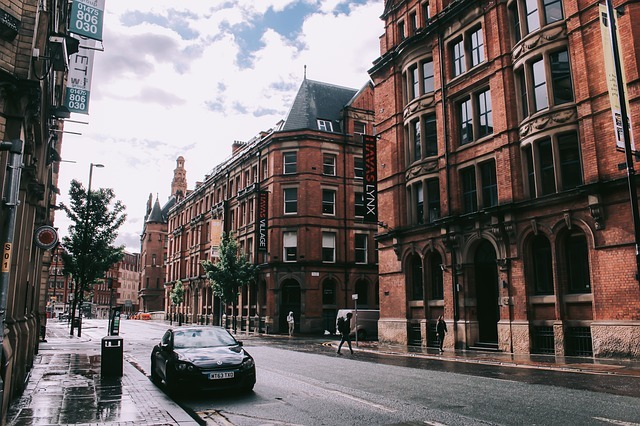 Manchester has much to offer in terms of brick and mortar stores, and you’ll never run out of places to shop at all over the city. Your safest bet is Manchester Arndale, which is a one-stop shopping centre that contains more than 200 high street stores and boutiques. Other popular choices are the intu Trafford Centre, with top designer brands such as Michael Kors, Ted Baker, and Pull&Bear, or The Avenue in Spinningfields for Armani, Mulberry, and other international collections. On the alternative end, the Northern Quarter, often described as one of Europe’s coolest neighbourhoods, delights with quirky, whimsical shops from independent retailers. Manchester Fashion Week happens for five days twice a year and is the most important fashion show outside of London for independent designers who want to give their work more exposure, and brands are delightfully varied, featuring both rising talent and those with an established international presence. Tickets are sold out every year, and what makes it so unique is that it’s extremely approachable and inclusive, with plus-sized, trans, child, and disabled models gracing the catwalk. This year’s spring/summer show will start on May 13, 2019. The mills aren’t completely gone yet. After a 40-year hiatus and a 6M investment, the Tower Mill in Dukenfield has been revamped into English Fine Cottons, and it’s up and running again. Aside from being the only commercial cotton spinner in the UK, it has become one of the world’s most efficient and advanced textile manufacturing facilities. For UK’s textile industry in general, Greater Manchester Local Enterprise Partnership board member Lorna Fitzsimons is heading the Textiles Growth Programme, which awards grants to textile companies. These can reach up to £1M, and the aim is to revive textile manufacturing in the UK and improve jobs. Aside from having some of the best schools in the North, Manchester excels at cultivating fashion talent. The University of Salford, University of Manchester, and Manchester Metropolitan University all offer degrees in fashion as well as specialist courses. As a city, one of Manchester’s strengths is being at the cutting-edge of technology, and business is flourishing. Fashion, in particular, is experiencing a revival, driven by e-commerce and a creative ambience that’s conducive to designers. From online stores that are rocking the global market to progressive shows, Manchester is stepping into its title as a modern Cottonopolis and fashion powerhouse.